Ant-Man and The Wasp Buzz Onto Home Video In October! Marvel’s smallest superheroes, Ant-Man and The Wasp, buzz onto home video with a hiveful of bonus material: four making of featurettes; Gag Reel and Outtakes (including Stan Lee outtakes); deleted scenes with optional director’s commentary and more. Marvel’s Ant-Man and The Wasp will be on Digital on October 7th and Blu-ray on October 16th. Ant-Man and the Wasp – Relatable Stakes Make for a Delightful Adventure! After all the end-of-half-the-living-beings-of-the-universe holy crap! @ness of Avengers: Infinity War, there are two aspects of Ant-Man and the Wasp that make it a refreshing change. The stakes are Scott Lang’s freedom and the life of Janet Van Dyne (and, okay, tangentially, the life of the costumed ‘villain’ of the piece – but not the mundane villain of the piece). That Was Us Trailer: Ant-Man and The Wasp! After an unusual teaser-for-the-trailer, your long (24 hour) wait for the new trailer for Marvel’s ant-Man and The Wasp is over! From a sweet scene with Scott and his daughter talking about his career to The Wasp debating whether it should be her who goes low (‘I have wings!’); from Scott and Dr. Bill Foster comparing sizes (not what you think) to introducing an intangible villain, the new trailer sets up what looks to be a pretty spectacular ride. We will find out where Ant-Man and The Wasp were on July 6th. Stinging Trailer: Ant-Man and the Wasp! Marvel’s Ant-Man and the Wasp unveiled its first trailer today and it looks like a lot of fun – especially the exchange which includes the above incredulous queries from Scott Lang. Marvel’s Ant-Man and the Wasp will be in theaters on July 6th. No Shield? No Armor? No Hammer? No Problem! 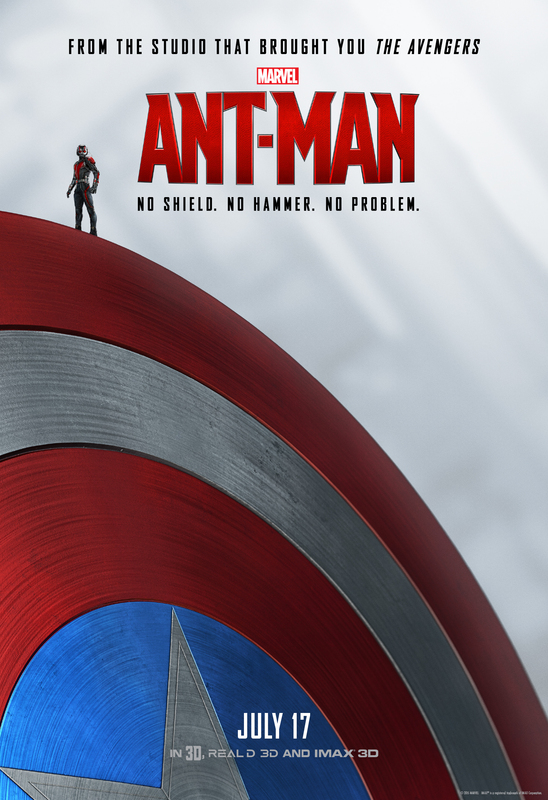 – New Ant-Man Posters! 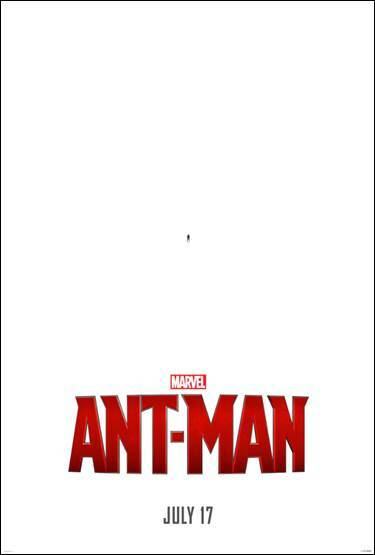 The clever promotion of Ant-Man continues with a series of posters (above and following the jump) comparing the diminutive hero to the Marvel heroes we already know and love. Ant-Man premieres on July 17th. Since no one has been able to replicate the super-soldier serum that gave Steve Rogers his enhanced abilities, Henry Pym took a different tack – he wondered if he could find a way to shrink a human being to ant size without sacrificing that person’s strength. A fringe benefit might be that our ‘Ant-Man’ could infiltrate the most secure locations. And what if, Pym wondered, ‘that person could communicate with ants? He’d have a ready-built army at his disposal. Ant-Man doesn’t sound so silly now, does it? Check out the brand new trailer following the jump. 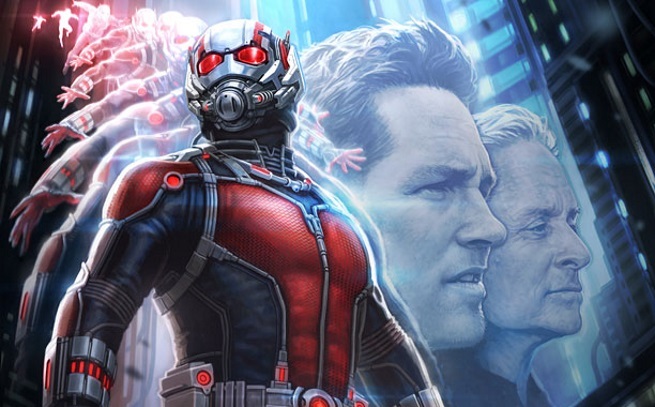 Marvel’s Ant-Man premieres on July 17th. Tonight, during the two-hour premiere of Agent Carter (ABC, Tuesdays, 8/7C) – a pretty spiffy show to be sure – the full-size teaser of Ant-Man got its national premiere. It actually looked to be quite interesting. If you missed it, check it out following the jump. Ant-Man opens on July 17th. 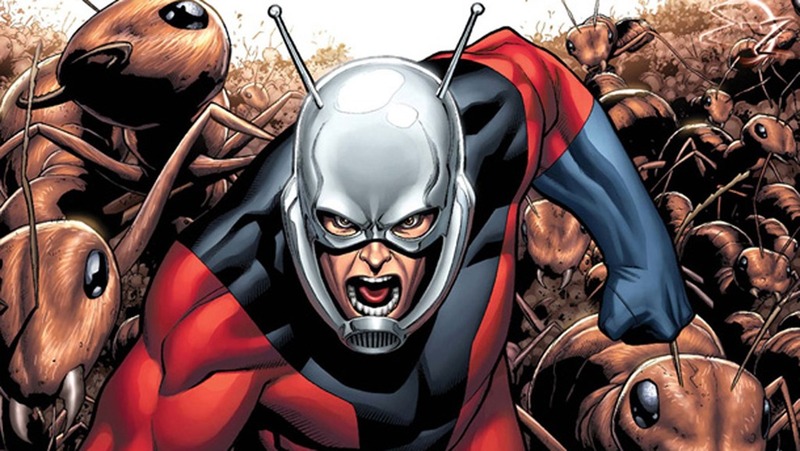 First Look: Ant-Man’s Paul Rudd as Scott Lang! Barely 24 hours after the news that Marvel’s Ant-Man had begun production, we have the first photo of Paul Rudd as Ant-Man-to-be, Scott Lang. He looks a little worse for wear as he stands framed by one of the most recognizable landmarks in America. Check out the photo after the jump.